Many organizations have people who are great at coming up with new ideas,but the Company that thrives in this marketplace is the one who can execute – implement those ideas through to fruition. In the United States, time spent in meetings each week was 5.5 hours, and 71% of those surveyed said they were unproductive. Meetings are where it happens (or not.) People come together to share information, collaborate, problem solve, and make decisions. It is the microcosm of the Organization’s culture. It exemplifies “how we do things around here.” So if we plan to create a Culture of Execution, where we really get things done – why not start with our meetings! In this article, we explore 5 critical elements of designing and delivering a successful, meeting that yields tangible, focused outcomes: planning the meeting, meeting facilitation, helpful rules, facilitation tools, decision making tools, and tools for ensuring accountability. There is a useful acronym for meeting planning and ensuring that critical components are addressed. It is P.A.R.R.E. Do we really need to have a meeting or might the information be shared in another venue? What is the main purpose of the meeting?Is the meeting for 1) information sharing 2) decision making 3) problem solving 4) all three? What outcomes does each participant want / expect? What is the agenda for the meeting? Who needs to have input into it? Are each ofthe topics allotted enough time? When does it need to be sent out? How will the agenda be posted at the meeting to ensure we stay focused and on time? Who is the facilitator? How experienced are they with process facilitation – directing the meeting focus and keeping people on time and on track? What are the other roles – needed – scribe, time keeper, synthesizer? Who should we be sure we include in the meeting? Who might not need to be there? Who will be doing what at the meeting? What are the ground rules / agreements for participant behavior? How will we post them at the meeting? How will we ensure that they are followed? What is the best environment / set-up for this meeting? How will the room / tables and chairs be arranged? Will people all be facing each other to encourage dialogue? What furniture in the room many become barriers or distractions?What activities might best encourage participation? What activities might best achieve the purpose? What supplies might we need? 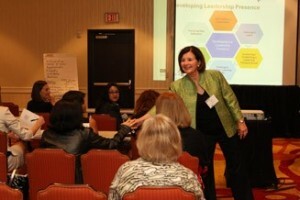 In thinking about meeting facilitation, we must remember the two key components – Content and Process. while the facilitator can ensure all people are heard and all issues are addressed in the most efficient way. the most efficient and collaborative way.